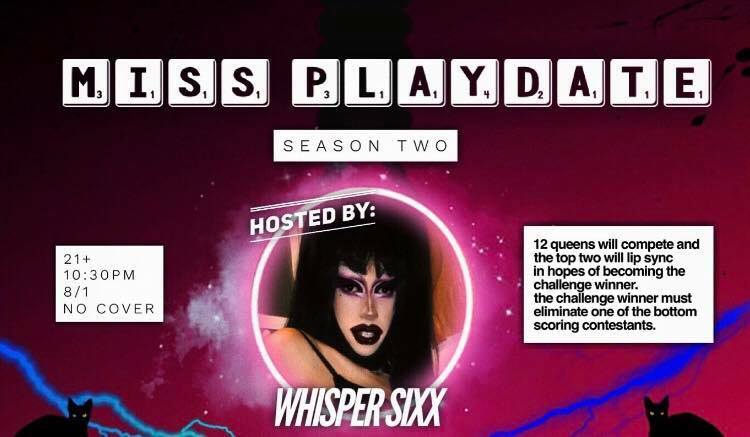 Come out 8/1 to @faultlinebar for #Missplaydate! The queens will be preparing performances that pay tribute to someone or something that inspires them. We have special guest judges: @the_glamorousmonique, @vinnyohh, @assaadyacoub, and @loreleithefag! The top two will lip sync in hopes of winning the challenge. The challenge winner must eliminate someone from the bottom 3! You ready for this?